Presented by Red Earth as part of the Monsoon Festival, the exhibition Posters on Climate Change comprises funky works by Ektaa Aggarwal, Green Goose Design, Gunjan Gupta, Julius Macwan, Kapil Sharma, Nikki Duggal, Parikhit Pal, Pranay Lal, Ravi Agarwal and Vivek Sahni. The project hopes to initiate thought on making our lives more eco-friendly and create awareness on environmental issues. The festival has a number of other activities, including films and performing acts. There will be an installation of the Govardhan Parvat, which will be covered with saplings that guests can take home later. Guests, especially children, will be encouraged to dress like the god Krishna. 11am-7pm, daily; closed on 15, 17 and 18 August , between 1.30-5.30pm. Max Mueller Bhavan, 3, Kasturba Gandhi Marg (23329506). Opening night by invitation only; for invites, contact Red Earth (41764054/ himanshu@redearthindia.com). Recent paintings and sculptural works by Jagannath Panda, who explores the fraught but necessary relationship between natural and urban landscape. The sculptures include a gigantic one-horned rhino and a beautiful bat. 10am-6pm, Monday-Saturday. Nature Morte, A-1, Neeti Bagh (41740215). The second edition of India’s Modern and Contemporary Art Fair promises to be even bigger in scale than last year, with 55 galleries from India, Asia, Europe and the US. Apart from exhibitions, there will be seminars, art films and more. If you’re an art buff, don’t miss the International Speaker’s Forum, which brings together artists, curators, scholars, museum directors and art professionals to discuss issues that affect contemporary art. Damodaran, along with Deepak Castelino (guitar) and Tapan Malik (cello), will present songs at Forgotten Songs of the Independence Movement. The show will feature songs from the musical tradition of the Indian People’s Theatre Association that were written in different languages during the 1940s and 1950s. 6.30pm. Auditorium, India International Centre, 40, Max Mueller Marg, Lodhi Estate (24619431). Patricia Rozario, Alistair Digges and Dhilan Gnanadurai present Two Hundred Years of Music— from Baroque composers such as Gaetano Donizetti and G.F. Handel to Romantic stalwarts Gioacchino Rossini, Giuseppe Verdi, Domenico Cimarosa and Charles Gounod, with classical composers such as Mozart. The pieces will be sung by Rozario (soprano), Digges (tenor) and Gnanadurai (baritone), accompanied by Mark Troop (piano). The event is presented by the Neemrana Music Foundation. 7pm. Habitat World, India Habitat Centre, Lodhi Estate (24682222). The shining new hope of Kolkata rock is back in the Capital after a year, this time promoting its debut album, Maby Baking. The gig is in collaboration with Rolling Stone magazine. 9pm. Hard Rock Café, M-110, first floor, DLF Place, District Centre, Saket (47158888). Writer Githa Hariharan will discuss her approach to literature, women’s issues, secularism and the social, political and cultural issues facing contemporary society. In the course of her talk, Hariharan will speak on her life and trace her evolution as a writer through a series of readings from her works. 6.30pm. The Attic, 36, Regal Building, first floor (23746050). Call for details. Show your support for the city’s lesbian, gay, bisexual and transgender community by joining thousands of others in the Queer Azaadi March. While this year’s big issue will undoubtedly be the national decriminalizing of section 377, the march is not in any expectation of immediate or easy change, but with the knowledge that first steps must be taken, with sequins and style, in the streets of Mumbai. Bin there, done that: Be a part of the I-Day Trash Dash in Mumbai. 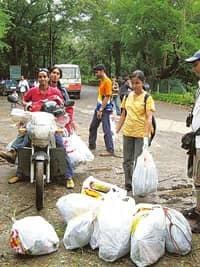 Held since 2006, the I-Day Trash Dash gets participating teams to scramble through Borivali’s Sanjay Gandhi National Park, trying to gather as much rubbish as possible. The trail, which covers the Gandhi Smarak, recreational area, mini-train station and administration area, is dotted with picnic games and activities. The teams that complete the trail and are found to have the heaviest bags of garbage walk away with prizes as municipal trucks come and pick up the collection. Everyone leaves a cleaner park behind. Daniel Cisek, Vice-consul, American Consulate General, Mumbai, will deliver a talk on “American Musicals and Social Issues". Cisek discusses how Broadway musicals such as South Pacific, Rent and West Side Story have examined serious social issues such as racial prejudice, juvenile delinquency and urban decay. 6pm. The American Center, 4, New Marine Lines, near Nirmala Niketan College (22624590). Baptist Coelho spent almost a month travelling in Ladakh. He was able to go up to the base camp at the foot of the Siachen glacier, which is as far as civilians are allowed. His show includes videos and photographs taken during his time there, along with installations that attempt to explore what it means to be a soldier. Coelho says he was curious about the lives of the men stationed in the unforgiving terrain and had asked the soldiers about every nitty-gritty detail of their lives, from the order in which they put on their gear to how they dealt with their emotions. 11am-7pm, Tuesday-Saturday; 2-7pm, Monday. BMP Building, NA Sawant Marg, near Colaba Fire Station, Colaba (22810066). Eight dancers showcase bhakti (devotion) in six separate styles in Jai Bharati. The performers are: Manipuri dancers Raj Kumar Singhajit Singh and Charu Sija Mathur, Mohiniattam dancer Bharati Shivaji, Odissi dancer Madhavi Mudgal, Kuchipudi dancers Jayarama Rao and Vanashri Rao, Kathak dancer Shovana Narayan and Bharatanatyam dancer Geeta Chandran. The music is composed by Madhup Mudgal. The event is organized by Banyan Tree Events. 6.30pm. Nehru Centre auditorium, Dr Annie Besant Road, near Shiv Sagar Estate, Worli (24964680). Call 28261885 for details and ticket prices. An exhibition of photographs by Vaibhav Mehta. In a note about the show, the photographer says the project didn’t start off as “a soul-searching mission or an attempt to change the societal fabric". “It was something that struck me on a traffic light on a Sunday evening...an eight-year-old boy asking me for money," he says. 12-11.30pm, daily. Opus, Palace Cross Road, near Windsor Manor Bridge, Seshadripuram (23442580). The art collective’s ongoing project moves on from the shows of video art and installations by Mangala (she goes by one name), and artist Prakash L. The third artist in the project, Antony Roch, takes over the gallery’s premises to create and present his works. 11am-7pm, Monday-Saturday. Sundays, by appointment only. Samuha, 109, second floor, ADA Rangamandira, JC Road, near Town Hall, opposite Ravindra Kalakshetra (41516531). A show of the artist’s recent mixed media paintings. Dasgupta studied art at the Visva-Bharati University in Santiniketan, after which he completed his masters in mural painting from the same school. 10am-7pm, Monday-Saturday. Kynkyny Art, 104, Embassy Square, 148, Infantry Road (40926202). Saraswati Rajathesh and her students from the Bangalore-based Natya Saraswathi dance centre will perform the dance ballet Gita Govindam, which will use Kuchipudi to enact devotional songs from Jayadeva’s epic. 6.30pm. Yavanika, YMCA, Nrupathunga Road (22214911). This Mumbai-based Hindi rock act came together when its members responded to an advertisement in the classified section of a newspaper. 7pm. Kyra, 2001, Katti-Ma Centre, 100-Foot Road, Indira Nagar (43419999). For ticket prices and bookings, visit www.bookmyshow.com or call Kyra. “The Fidel Castro of American Idol 6", Sean Michel, brings his flowing beard and some soul-stirring gospel rock to Kyra. 7pm. Kyra, 2001, Katti-Ma Centre, 100-Foot Road, Indira Nagar (43419999).Click here for ticket prices and bookings or call Kyra. Lou Majaw in his brief denim shorts, with his guitar slung over one shoulder, is among the last of a dying breed—the travelling bluesman, the wandering minstrel. This fortnight, Majaw, who’s often called “India’s Bob Dylan", will make the trip from Shillong to Bangalore, carrying the same passion and single-minded dedication to music that made him an inspiration for generations of musicians in the North-East. Backing him up will be Great Society, a band that Majaw founded and that also happens to be a music school and rite of passage for many musicians. 8pm. B-Flat, 776, 100-Foot Road, Indira Nagar (42414000). For entry charges, call B-Flat. Josh Kornbluth is a monologist, which is to say, he talks a lot at a show. In fact, as a solo performer, he does all of it. So the irony that his latest show is about democracy—a dialogue at the least, as he concedes at the opening of Citizen Josh, which he will perform in the city this fortnight—is not lost on him. But his interest in the meaning and practice of democracy finds deep roots in his own past—something that makes Citizen Josh a personal journey with a universal idea. 7.30pm. Ranga Shankara, 36/2, 8th Cross, 2nd Phase, JP Nagar (26592777). Call the venue for ticket prices. 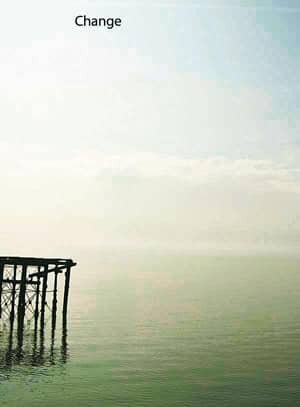 What Melissa James Gibson’s Sic does (apart from possibly triggering a perfunctory recollection of the situational comedy Friends) is to go about being concerned with many little things in a very nothing sort of way. And that’s quite something, going by the critical admiration that this two-act comedy has drawn since it was first staged in 2000, netting The Village Voice’s Obie awards for playwriting, and the Kessering Prize. “It’s plot-less, almost in the same way that life is," says Sharanya Ramprakash, who is directing as well as acting in Dramanon’s upcoming production of the play. “There doesn’t seem to be a grand plan…just a continuum of little events along the way. But five years on, you’re a different person." 7.30pm. Ranga Shankara, 36/2, 8th Cross, 2nd Phase, JP Nagar (26592777). Tickets, Rs150. Alliance Francaise de Madras, in collaboration with the French embassy, is screening Home, a film by Yann Arthrus-Bertrand, to highlight the environmental issues that plague the world and inspire a change in man’s consumerist approach. A journey of around 54 countries, the film showcases the earth’s treasures, explaining how we are destroying them, and suggests ways in which we can help save them. The film will be introduced by M.B. Nirmal of Exnora Foundation. 6.30pm. Alliance Francaise de Madras (auditorium), 24, College Road, Nungambakkam (28279803). Hansel and Gretel Kids Centre regularly organizes Baby Bounce and Rhyme Time, a programme for pre-schoolers between one and two-and-a- half years. The sessions are specially designed to stimulate the child’s imagination using a variety of themes—action songs, games, storytelling and nursery rhymes—and help them develop key skills such as confidence, concentration and cooperation in an informal environment. Parents will be encouraged to take part in discussions on parenting issues, share their stories and exchange tips on childrearing. 10.30am–12.30pm, weekdays and Sundays. Hansel and Gretel, 11 Jagadambal Street, Thyagaraya Nagar (28152549). Fresh batches start every few weeks. This weekend, if you are planning to eat out, the Farm Fest might be a good option. On the menu are stuffed parathas, tandoori and grilled food, freshly baked bread with rice, various curries and desserts. 7-11pm. The Farm, 1-277, Semancheri Village, Old Mahabalipuram Road (24500556). For reservations, call 9176050562. Indus Fine Arts is showcasing paintings inspired by the famous Tamil poet and freedom fighter Subramanya Bharathi and his works. Bharathi is also known as the father of the modern style in Tamil literature, and captured the people’s imaginations with his patriotic poems. This exhibition is an attempt to present his works from the viewpoint of artists from different backgrounds. 6pm. 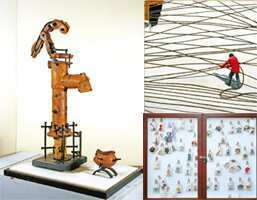 Labernum and Indigo Galleries, Cholamandalam Artists’ Village, Injambakkam (9940131008, 9840719686). DakshinaChitra is organizing an exhibition of four city-based artists—Mark Rathinaraj, Santhanam, Gita and Gayatri Aditya—as part the Madras Week Celebrations. Madras Day falls on 22 August. The idea is to showcase the styles and work of local artists. The exhibition will be inaugurated on 16 August at 11am by R.M. Palaniappan, secretary of the Lalit Kala Akademi. 10am-6pm, Tuesday closed. DakshinaChitra, East Coast Road, Muttukadu. Contact 27472603/ 27472783 for more details. The Birla Academy of Art and Culture has organized Svikriti, an exhibition of paintings, drawings, graphics and sculptures—a total of 67 works by seven young artists, who were honoured with awards at the academy’s annual exhibition in January. The artists are Amlan Dutta, Anupam Das, Avijit Mukherjee, Debashree Das, Harjit Saha, Manjushree Chakraborty and Sujit Karan. 3-8pm, daily, except 15 August and Mondays. Birla Academy of Art and Culture, first floor,108, Southern Avenue (24666802). A monsoon concert of Indian classical ragas by Utsav Lal on the piano, Mita Nag on the sitar and Samin Nandy on the tabla. 7pm. Calcutta School of Music, 6B, Sunny Park (24615294). Shrimoyee lives alone in the hills with her two children, after having walked out on her husband several years ago. Even mentioning his name is taboo in the house. Enter Alokesh, a man from Shrimoyee’s past—a past that goes back to her early adolescence. He seems to be suffering from amnesia. The appalling reality to which Shrimoyee and children wake up after Alokesh’s visit forms the plot. Story: Bimal Kar; playwright: Indrasis Lahiri; director: Meghnad Bhattacharya; troupe: Sayak. 3pm and 6.30pm. Tapan Theatre, 37-AB, Sadananda Road, Kalighat, near Rash Behari crossing. Tickets, Rs20, Rs30, Rs40 and Rs60. For details, call 9830503108. A satirical play on today’s doctors, based on Bhagirath Mishra’s story. Script by Jayanta Mitra, directed by Seema Mukherjee; troupe: Rangroop. 6.45pm. Madhusudan Mancha, 2, Gariahat Road (South), Dhakuria (9433774545). Tickets: Rs20, Rs40, Rs50 and Rs60. As with many good things, an excess of humanitarian consideration can prove dangerous, even detrimental, to social welfare. This satirical play, written by Rajat Ghosh, directed by Anish Ghosh and performed by theatre troupe Shohan, focuses on just such excess that could push humanity to the brink of disaster. 6.30pm. Madhusudan Mancha, 2, Gariahat Road (South) (9830042004). Tickets, Rs20, Rs30, Rs40 and Rs60 (available at the venue seven days in advance, 1-7pm). Artists from Surangama will celebrate its foundation day with songs and dances based on Rabindranath Tagore’s monsoon songs at Rabindra Okakura Bhavan, Salt Lake. 10.30am. Rabindra-Okakura Bhavan, DD-27/A/1, Bidhan Nagar (23374999).